Athens is a city with great vibe, and no matter who you travel with, it will offer you unforgettable moments filled with joy and happiness. Should you visit the Greek capital with your spouse and children, the fun can be even bigger once you do the things your kids will enjoy the most. 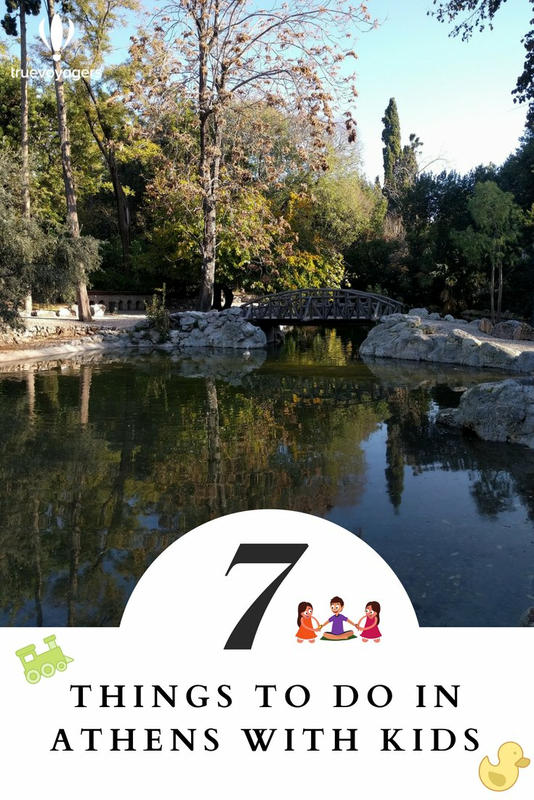 Divine picnics, tours, museum and fun park visits, and lots of educational programs are only some of the things to do in Athens with kids. In this post, we present you only a small piece of Athens' musts for families. During our "Feast of Fables" family tour inside the National Garden of Athens. Placed in the center of the city, National Garden is the first place to take your kids. Not only it is it located next to the Parliament, but the garden is one of the most beautiful natural places in Athens. The children will enjoy visiting the ponds with ducks, fish, and turtles, and the parents will find their true tranquility in an oasis of flowers and trees. There is also a children's library for bigger kids and a playground for little ones. What is more, in National Garden there is also an activity especially designed for children – A Feast of Fables. Namely, you can take your kid to this 2.5-hour long tour that consists of storytelling by professional actors in costumes, wandering through the National Garden and reviving the didactic fables of Aesop, world's most renowned ancient story-teller. The activity will end with a picnic, the content of which the participants should earn through resolving various entertaining riddles. The Benaki Toy museum is a dreamland for both kids and parents. It hosts a permanent collection of toys which is among the most important ones in Europe and includes toys, books, ephemera and other items associated with childhood from all over the world. Parents will be thrilled to watch their children learning about the way different toys from other countries are made, the story about them and how they evolved through time till our days. The fact that the museum is located right by the sea in Palaio Faliro neighborhood makes it ideal for families that can take a seaside walk after the visit. This is the starting point of the famous Athenian Riviera, a 60km coastal area with beautiful beaches, coffee shops and some important attractions. 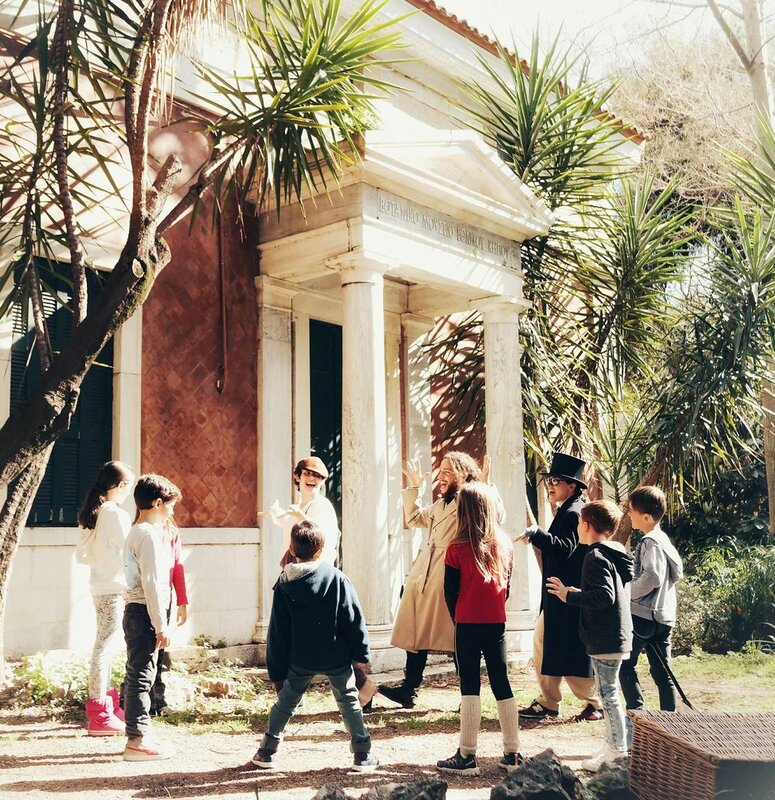 Should you want to see your children develop new skills as well as learn more about cultural heritage through games, take them to Children's Museum in Plaka, a very popular part of Athens. In this way, you will teach your kids to value art, enjoy the exhibits and develop their observational skills. There are several areas in the museum with various activities. For instance, kids are able to make cookies, participate in activities with water, build several constructions, and learn how to buy and sell on the market. The Children's Museum will undoubtedly be one of the best parts of their trip to Athens. Ideal for kids aged 1-12 years old. Free admission. Create with your kids a unique souvenir that you can take home with you! Everybody loves fun parks, and children are true fans of these phenomenal places. What's even better is that when you are a parent, you have a perfect excuse for visiting one! Allou Fun Park is the largest one in entire Greece. It is located in the part of the Athens called Rentis, not very far from the center of the city. All the visitors simply love this place which has become one of the top destinations in the Greek capital. Allou! Fun Park is especially designed for smaller children, but it can be more than appropriate for even bigger children (those 40-year-old visitors). There are many awesome rides and games, like the large Carousel, Bloom Bloom (boat ride in the lake), the roller coaster and the Youpi tower for the "Shock and Drop" experience. Be sure to check out the 4D Gate and other cool places that will make your visit the best experience ever. Opening hours: Monday to Friday: 17:00 - 22:30, Weekends and holidays: 10:00 - 23:00. Athens is one of the top tourist destinations for decades, so the city authorities and the citizens have a lot of experience in this business. They are completely oriented towards providing their guests the best time in their lives. And this certainly includes the youngest population of visitors. That is why they have created a special kids' tour through the historical center of Athens, called Athens Happy Train. The kids will hop on a small train that takes them on a 40-minute long ride all around the must-see attractions, including the Hellenic Parliament, the Museum of Cycladic Art, the War Museum, the Panathenaic Stadium, the Temple of Olympian Zeus, the Lantern of Diogenes, Plaka etc. Is there a better way of exploring the city? A giraffe and a zebra at the Attica Zoological Park, some kilometers outside Athens. Located in Spata, just 25 minutes by car outside Athens, the Attica Zoological Park is a great outdoor experience for families. With over 2000 animals from 380 different species, it will educate you and your children through its Marine Mammal, Birds of Prey and Asian Elephant Educational Programs. Its main purpose is the preservation of various animal species. But people can still visit it and interact with the different animals, bird and insects species. A perfect spot for children because they will not only see animals but also learn why it is important to take care of our small friends. All of the species are placed in their natural habitat. That way the kids can become more aware of the necessity of the protection of our environment. Junior Falconer experience: Falconry is the craft of hunting wild game for food with trained Birds of Prey. Participants will be introduced to the art of Falconry including its history, basic biology and behavior of Birds of Prey, as well as threats they face in the wild. Duration: 2 hour session, cost: 25€ per annual card member, 45€ per non-member. Interactive program "Meet the Animals at the Park": In this program, the children will encounter various animals (e.g., giraffes, lemurs, reptiles, birds of prey and reptiles) around the Park and will have the chance to feed them. Duration: 1 hour or more, cost: 60 €/hour, for 1 education officer, 30 €/hour, for every additional education officer (does not include the entrance fee to the Park). Opening hours: 9 am until sunset. Admission: adults €18, kids up to 12 years old €14, children under 3 free. Enjoy a ride around the city with your kids on handmade wooden bikes! Little Kook café in Psyrri is definitely easy to find thanks to its extraordinary outdoor decor which changes all-year-round based on the season. Taking a break and having a coffee with kids is a challenging task, however we have the solution for you. Head to Psyrri neighborhood and visit the Little Kook café, a place that triggers your imagination and transfers you in to a fairy tale world. The Little Kook café is decorated with dragons, a Cinderella’s pumpkin carriage, the giant beanstalk from the Jack and the Beanstalk and anything else you can imagine from your children's favorite fairy tales. What is your favorite family activity when you are abroad? Let us know by commenting below!